Canada's oilfield services sector — a bellwether for the state of the oilpatch — is beginning to see job losses as the impact of steep discounts on Alberta oil ripple through the sector. Trican Well Service, according to the Financial Post, laid off 70 of its 2,200 employees this week, pointing to an anticipated slowdown in activity next year due to lower energy prices and discounts on Canadian crude. The news comes amid warnings of job losses across the sector if the oil glut that's been dragging down Canadian crude prices does not improve soon. The oilfield services sector is on the front lines of energy development, hired to do the drilling, producing and maintenance of oil and gas wells. They're also involved in the manufacturing of oilpatch equipment and supplies, such as steel piping. The business and its workers thrive when the oilpatch is busiest. But with the price of Canadian crude lagging far behind the American standard, spending plans in the industry are now under scrutiny — and those in the oilfield services sector are preparing for bad news. Murray Mullen, chairman of the Mullen Group, which has about 1,800 staff in its oilfield division, says customers are cancelling projects "left, right and centre." Meanwhile, it seems banks and investors are getting anxious about where the industry is headed, he said. "So all of us that are in executive positions are going, 'Well, we've got no choice but to be defensive, which usually means, you know, I'm going to have to lay off people," Mullen said. "We're trying to not panic, but I can tell you my senses are very, very heightened." When oil prices collapsed in 2014, oilfield services companies were hit hard as activity slowed in the oilpatch and thousands of jobs were shed. There have been no reports of similarly deep cuts recently, though the province says it has received notice of seven layoffs of 50 or more people in the energy sector since April 1. With Canadian oil selling at steep discounts due to a supply glut and production companies re-examining their spending, there's again worry about what the future holds. Economist Peter Tertzakian recently warned that if the oil glut isn't rectified in "the next few weeks," workers could be slapped with layoffs and the winter drilling season could be lost. 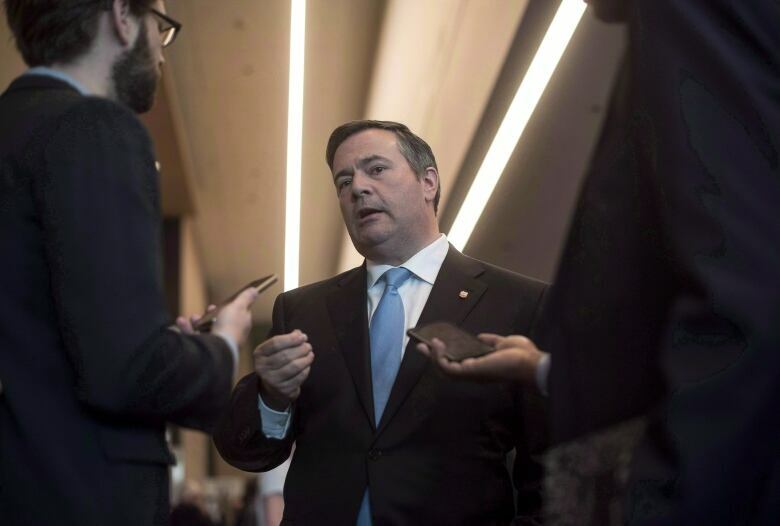 Alberta's United Conservative Party Leader Jason Kenney told CBC's Calgary Eyeopener on Thursday that industry leaders describe the situation as a "five-alarm fire." "Companies right now are slashing their capital budgets for the upcoming winter, including their drilling budgets," Kenney said, "which would massively damage the service sector that exists all throughout Alberta — all these little companies and thousands of employees. We're looking at a potential wave of layoffs. Earlier this month, the Petroleum Services Association of Canada (PSAC) predicted a total of 6,600 wells will be drilled in Canada in 2019, down about five per cent from this year. The association said that translates to a year-over-year decrease of up to $1.8 billion in capital spending by exploration and production companies. PSAC chairman Duncan Au said in an interview this week that the sector is "extremely concerned" by activity levels in the oilpatch and the discounts on Canadian crude. Like others across the energy sector, Au says the problem is a lack of takeaway capacity — both pipelines and rail — for Canadian oil. This has added to the oil glut, which is weighing heavily on prices. The situation means some oil and gas companies are not experiencing their normal cash flows and may also be challenged to raise money from investors. "What that translates to is that our activity levels on the services side is slowing down and we saw that significantly here in November," Au said. If firms haven't already trimmed staff, many would be in the planning process, he said. Au is also the president of CWC Energy Services, a large service rig company based in Calgary. He said his company has grown over the past four years to a peak of 770 employees earlier this year. Now, it has under 700 staff. "You can't say it was just cut overnight," Au said. "But that is the number of employees ... based on the level of activity that we currently are seeing in our basin." Au is going to Ottawa next week to seek government support for a new strategy, led by PSAC, that aims to bolster support for Canada's energy sector. They want to create a brand that promotes all Canadian energy. 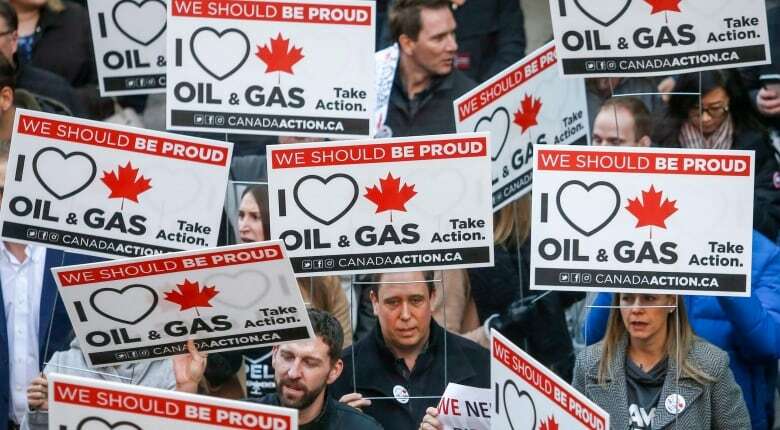 "And that brand for Canadian energy will go beyond oil and natural gas," Au said. "It'll go into solar, wind, hydro, nuclear — all of the things that make Canada great in terms of energy." For weeks, the price of Western Canadian Select (WCS) has been tracking roughly $40 US a barrel less than West Texas Intermediate (WTI). In better times, it might track around $15 below. Analysts are uncertain exactly how long the situation will last, though some think the price differential will improve in the coming months and normalize by around this time next year. 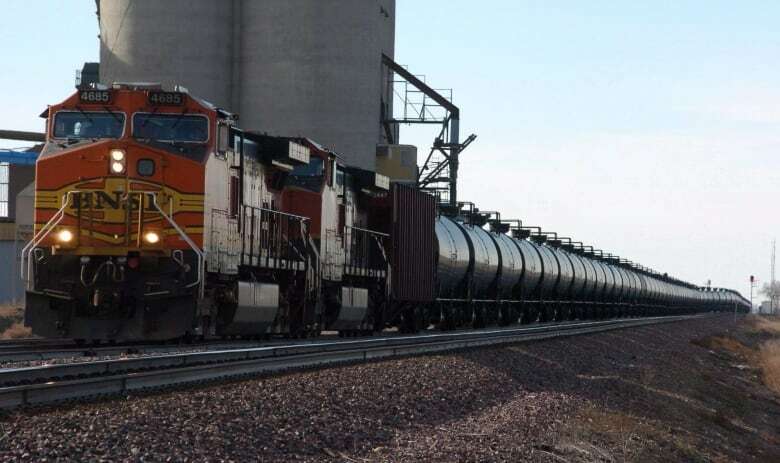 Premier Rachel Notley announced Wednesday her government will buy two new unit trains that can transport an additional 120,000 barrels a day, increasing the amount of oil being moved by rail in Canada by a third.